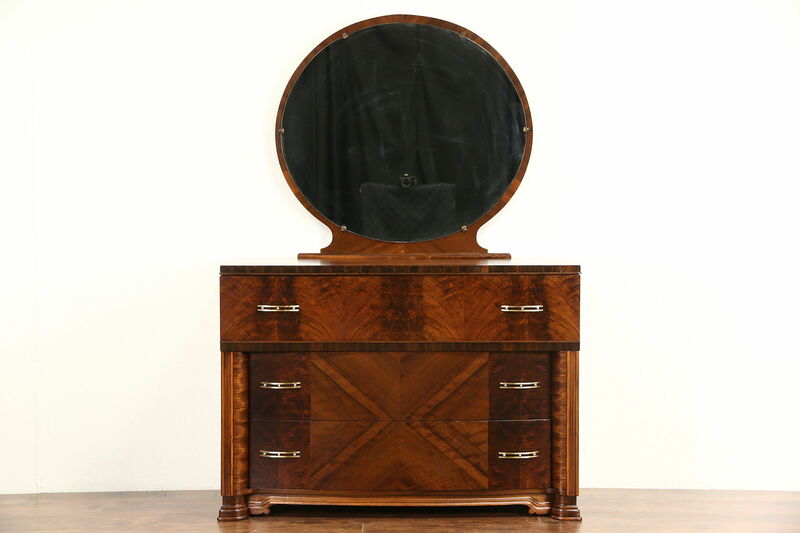 A sleek dresser or chest and mirror from the Art Deco period in the late 1930's is matched walnut, mahogany and burl accented with zebrawood, and has beautiful figured grain. The restored satiny finish is in excellent condition on this American made vintage furniture. Brass hardware is original, the maker's signature is lost. The dresser is 49" wide, 21" deep and 70" tall including the original detachable mirror, which has a little antique "smoke" for character.